There has been a great deal of debate over how many wolves was set by WDNR Wolf Management Plan in 1999. Wisconsin Bear Hunters Association (WBHA) member, Al Lobner insists on sticking to the 1999 WI Wolf Management Plan’s goal of 350 wolves. He is one of 20 or so members on Wisconsin’s Wolf Advisory Committee (WAC). The 350 wolf population management goal has been heavily debated at the WAC for over a year now and to the point of stonewalling. During discussion at the WAC meetings Lobner of WBHA, has maintained he is not authorized to endorse any other wolf population goal other than the 350. It’s obvious that WBHA is protecting their own agenda. WBHA stands by this 350 goal even when WDNR’s own data shows evidence of stress on wolves from two years of wolf hunts. Is it sound wildlife management to insist that only 350 wolves can occur in WI no mater what the science says? What is even more astonishing is that, “WBHA is nearly 3,000 members strong…” from the about section on WBHA webpage. Here is the stark reality, out of nearly six million WI residents 3,000 fringe hunters are allowed to drive WI wolves into oblivion. Let’s take a “look see” at the WI Wolf Management Plan written in October of 1999 and judge for ourselves why that number is in place. That paragraph from the plan doesn’t say a maximum of 350 wolves will be allowed to exist in the state of WI. In fact it doesn’t say that anywhere in the plan. But does discuss what could happen once a minimum number of 350 wolves is reached. WI’s third wolf hunt is in full swing now with a wolf kill quota 150 wolves. Before this reckless wolf hunt was mandated by act 169, wolves were allowed to recover for almost 4 decades. 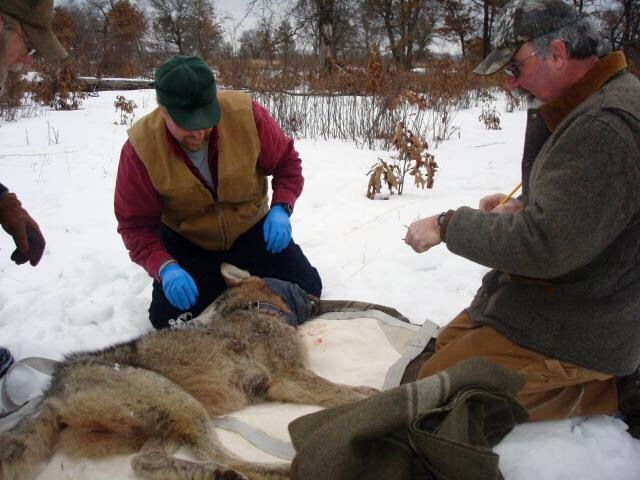 Millions of dollars and manpower were spent on WI Wolf Recovery so that they could become a game animal to be hunted for pleasure by a few fringe hunters. The Wisconsin public has proven over and over again that they want wolves https://wolvesofdouglascountywisconsin.com/2014/08/28/8281wdnr-wolf-survey-results-the-good-bad-and-the-ugly-by-rachel-tilseth/ and a wolf public attitudes survey was taken by WDNR to prove the point. WDNR Administration is more concerned with politics than science and caters continually to fringe hunters driven by big money lobbyists. 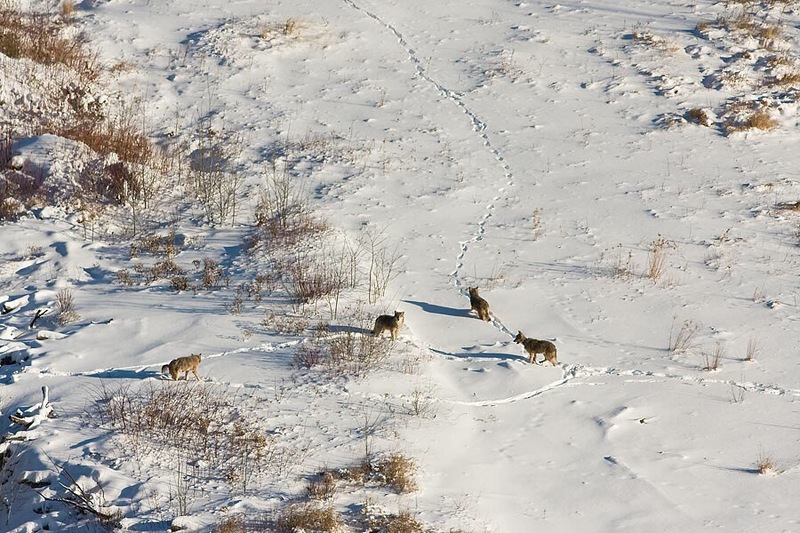 Public in put for the 2015 Wolf Management Plan is set to take place sometime in the next month or two. 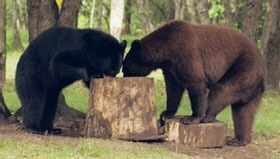 One can only hope Cathy Stepp (head of WDNR) will be replaced before that takes place. 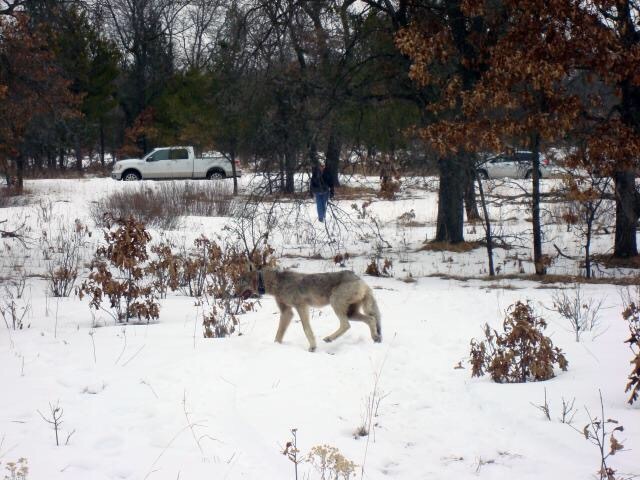 The following two photographs are of a wolf that was radio collared in 2011 as part of the telemetry monitoring at Fort McCoy that provides data to help manage wolves. By Bob Schuette Fort McCoy Public Affairs. It has been clear for years that the 350 number has been arbitrary and was a guess from years ago, and those that are holding on to it know that the state can sustain more. The County of Wolves: Douglas county WI. WI Third Wolf Hunt a Debauchery: Excessive indulgence of over killing.